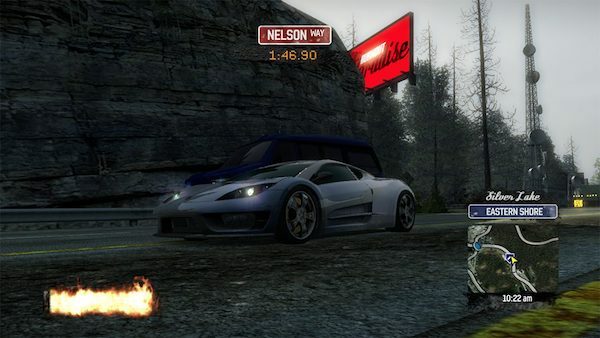 riterion as we knew it might well be scattered to the wind but that doesn’t mean their legacy can’t live on in Burnout Paradise Remastered. 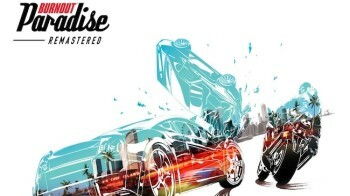 Long rumoured then suddenly unleashed, Burnout Paradise Remastered could so easily have just been a PC port – a version of the game that stands up very well even today when you crank it up to max and push it through a 4K display. Instead developer Stellar Entertainment Software Ltd have taken a very light-handed approach and updated the look of the game in some subtle, but welcome ways. I’m not going to recap the entirety of what Burnout Paradise is here – suffice to say it’s an open world free-roaming racing title that allows you to take on small challenges and races, both online and offline, and earn yourself points towards your Burnout driving license. 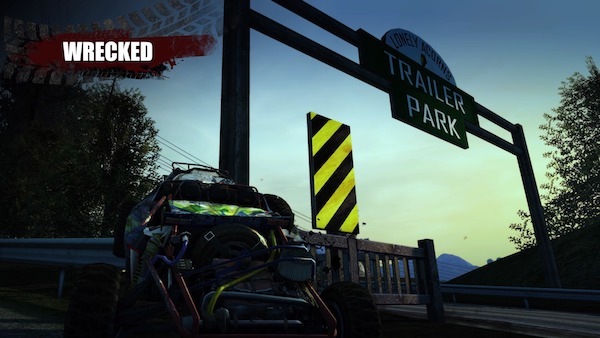 The challenges take many forms such as straight point to point races, Marked Man (where you are have to race to a destination whilst others try and wreck your car), Stunt Challenge (a score attack mode), Road Rage (you need to take out a set number of AI opponents in a time limit) and more besides. First to the bullet points. YES, that soundtrack appears to be untouched and YES the GnR song starts up the moment the game does andit feels like a massive wave of rocking nostalgia crashes over you. 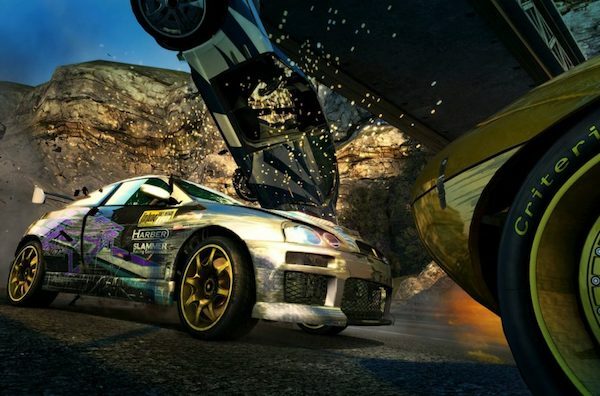 Burnout Paradise Remastered contains all the tweaks and DLC that came to the original release. There’s the Surf Island extra area, the bikes, time of day, fancy sports cars and a selection of vehicles that pay homage to famous vehicles such as a vaguely accurate DeLorian (which can also hover! ), something that look suspiciously like Ecto1 from Ghostbusters and a handful of others. It’s one hell of a lot of content and it’s unlocked right up front. Which is amazing, overwhelming and slightly damaging to the original core progression of the game. Why grind out events and take down new cars (which are then added to your stable) when there are already many betters ones sat in your garage waiting to be used? That small bump aside the game still looks and plays incredibly well. It’s a great snapshot of a certain time in gaming when developers were working out how to approach larger, seamless (no load times here! ), playgrounds where you didn’t have to drop to lobbies or start specific maps to play with friends. Just hitting the D-Pad will get you online here and you can cruise with friends, take on challenges, or just make your own fun trying crazy stunts and taking each other down. Little tweaks and innovations like rolling up to a junction and hitting L2+R2 to instigate an event seamlessly. The huge sprawling map with no GPS or follow lines. You navigate by using the road signs and your knowledge of the roads ahead. The huge number of things to see and do is staggering. Hundreds of billboards to smash, hundred of fences to break through, dozens of massive super jumps to find and land, the list goes on. 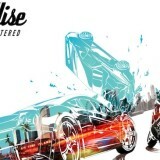 Yet Burnout Paradise Remastered is, as the original was, most at home just letting you explore and blast around the streets, airport, construction yards and beaches of Paradise City. It’s a fantastic game to just chill out too, the world screaming past as you barrel roll your tuned-up pickup truck off a ramp. The game has had a few tweaks here and there. Some extra anti-aliasing is evident, some new lighting and smoke effects as well as some reworked textures for things like billboards which would, back in the day, sometimes stream in love ads to the game. Frame rate is rock solid and PS4 Pro gets a nice bump to 4K (as does X1X) making the whole experience smooth and buttery. 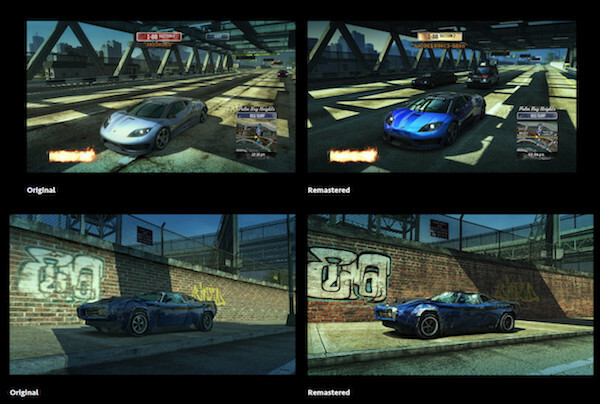 Comparing it to Burnout Paradise running on a PC at 4K (GTX970 Overclocked with 4GHz i7 processor) you can certainly tell the areas that have had the tweaks made to them. The extra filtering really does smooth out any of those last gen rough edges and shimmering textures. The fact that the game looks so damn good without needed a total texture rework is testament to just how good Criterion’s engine and texture work was back in the day. Burnout Paradise Remastered has been an absolute delight to experience. A fantastic piece of game design, brilliant handling, great sound and texture work with some truly fun races and content. Who doesn’t just adore Takedown challenges where you see your car (or hopefully your opponents) slowly, but brutally, impact on something, sparks flying (more so on this new version! )… it never felt so good to crash out of a race. Some of the old niggles are there – the handful of race destinations, sometimes wonky collision that should have been a glancing scrape yet it sent your poor vehicle skywards etc but overall Burnout Paradise is one of the best racing games, and one of the best designed games, I’ve come across – this Remastered edition just adds some new paint and makes it possible to enjoy all over again. It’s a good price, a fantastic package and an easy recommend for almost anyone – even non-race game fans will enjoy breezing around the roads and smashing up their car… it’s very therapeutic after a hard day!